Date & Time: Friday 4th April 2008. 5.30 pm start. 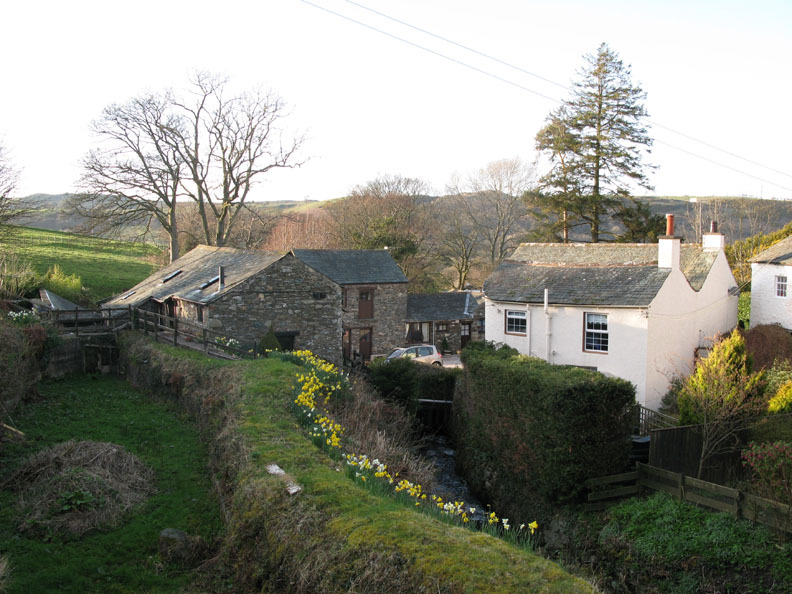 Places visited : Wythop Mill, Burthwaite, Ling Fell, Corpse Road and back. 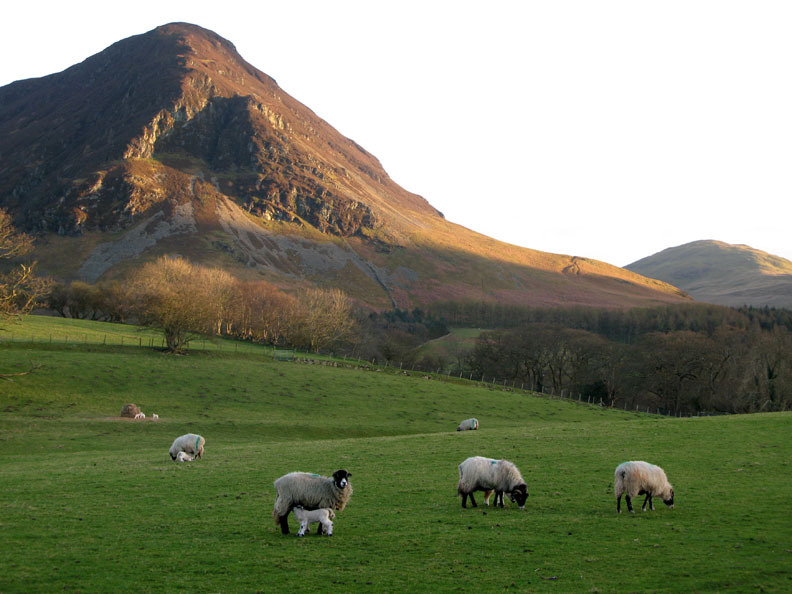 plus evening views of Loweswater. 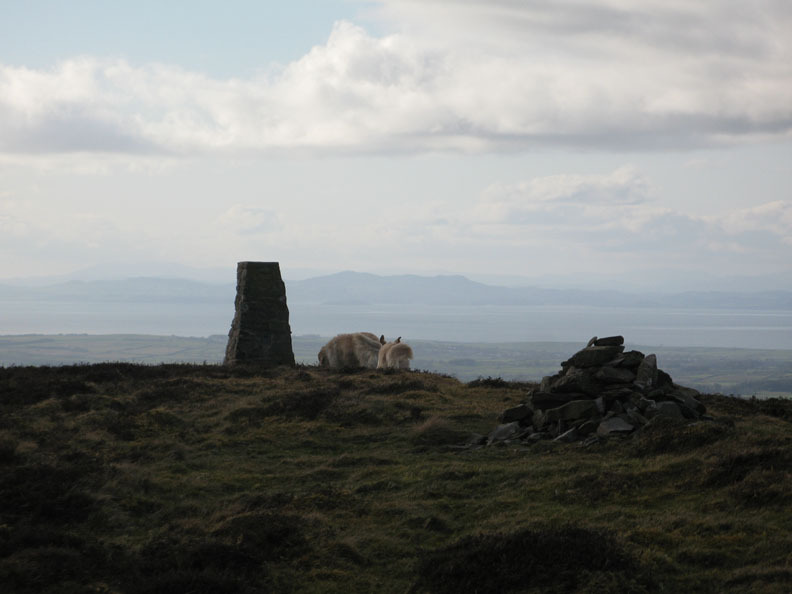 Walk details : 1.8 mls, 625 ft of ascent, 1 hrs 5 mins. Weather : A sunny evening after a dull day. The forecast was for a dull, misty day clearing in the afternoon.They were spot on for a change, if perhaps rather late, at five pm ! We ventured out of the valley a short distance for a walk today. It felt almost like spring ! This is Wythop Mill, unfortunately no longer operational. When we first knew it, it was a working Heritage Centre and tearooms but now it has closed and become a private house. Even the mill pond to the left is now empty. 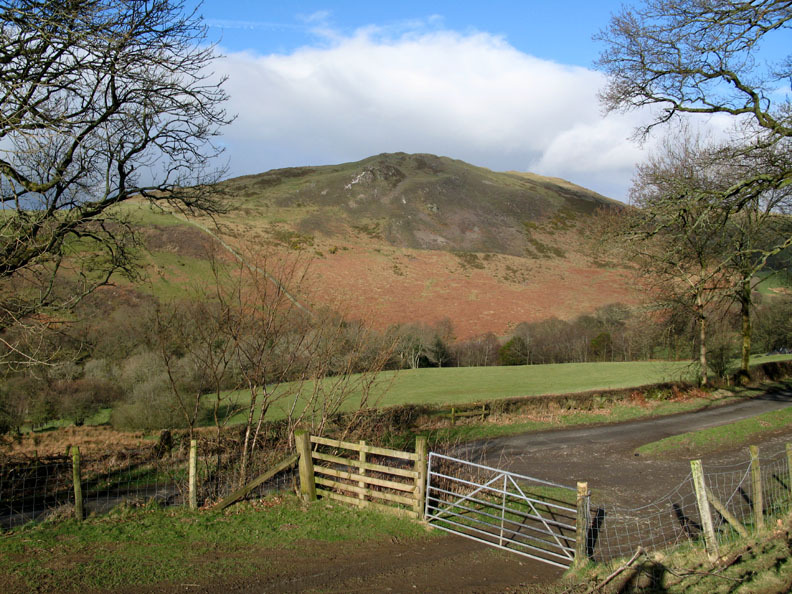 Our walk started at the fell gate on the top road above the village. 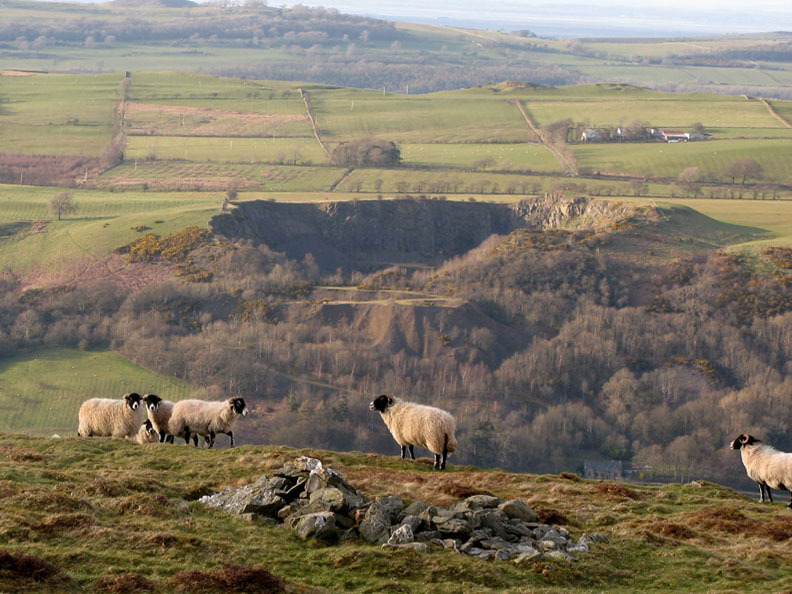 The view across the valley is of Sale Fell. 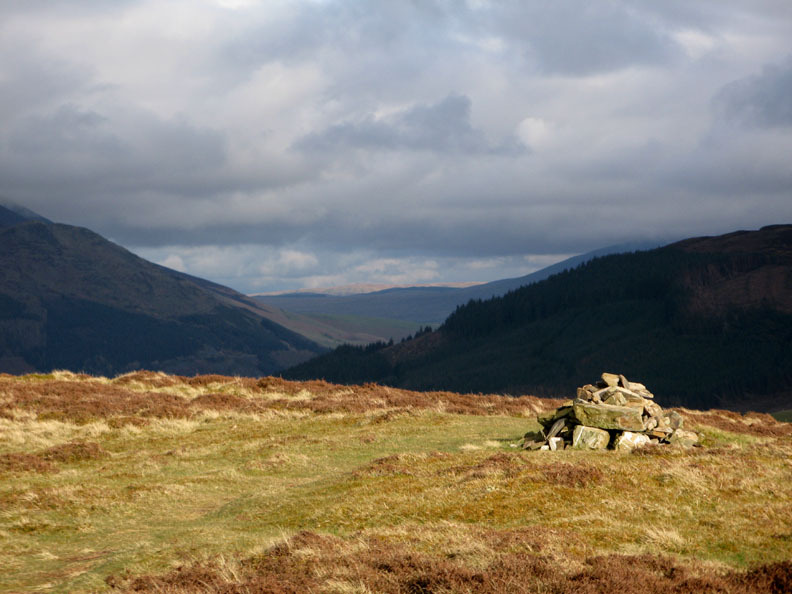 As we climb around the eastern side of the fell we get an ever improving view of Skiddaw, even if it is covered in cloud. 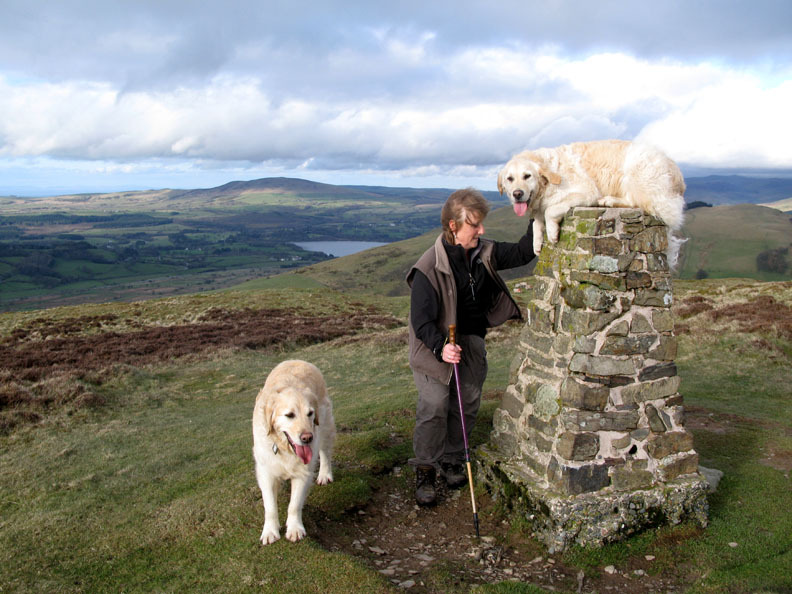 We climbed the steep side of Ling Fell and made our way over to the summit. 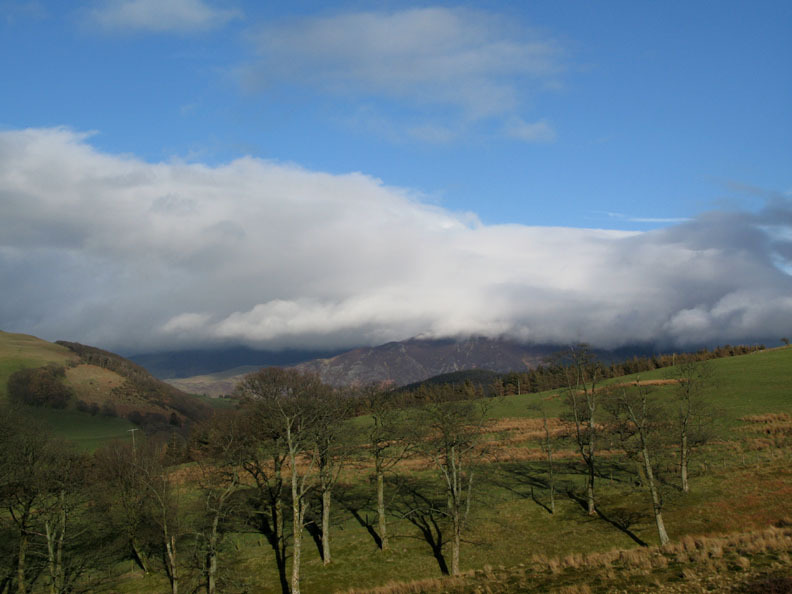 To the south the clouds were clearing from the Hopegill Head fells. 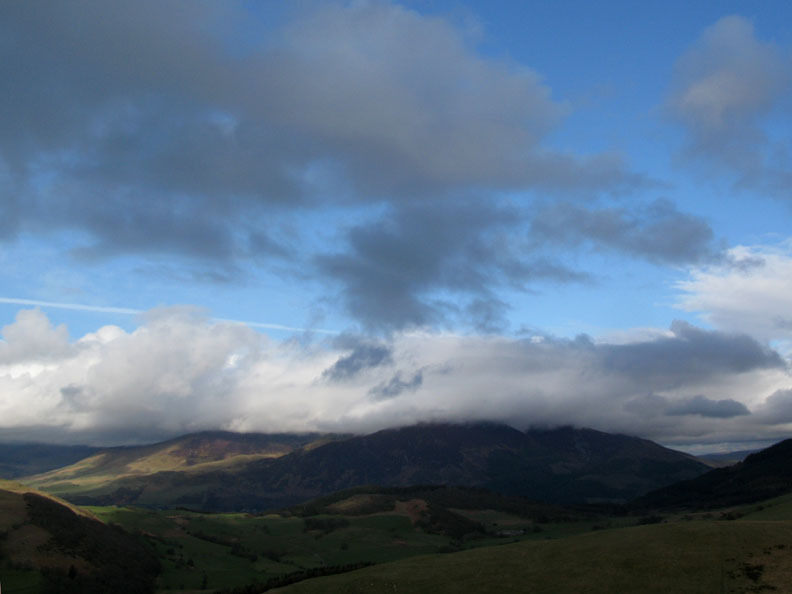 All the snow has gone from Grisedale Pike, where we were just a few days ago. 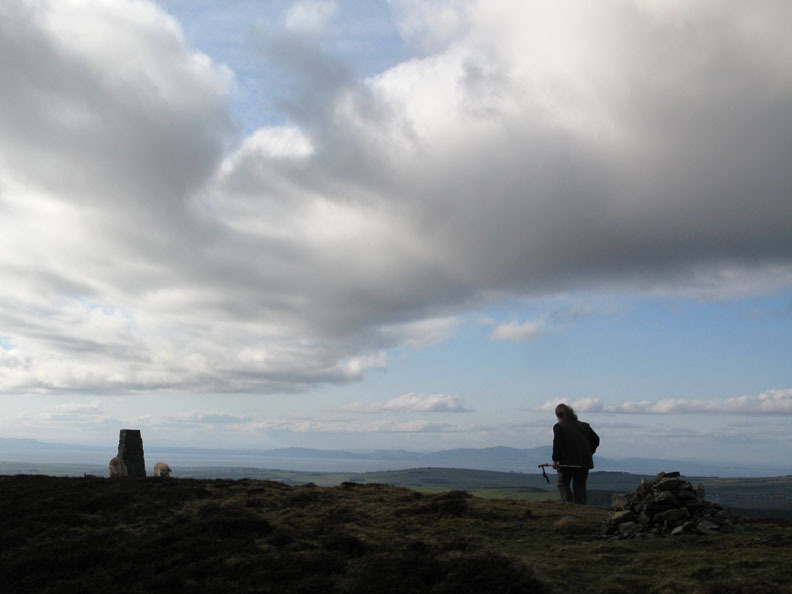 Ann makes her way over from the summit cairn to the separate trig point. It's a big trig point and Harry had to be helped up onto this one ! 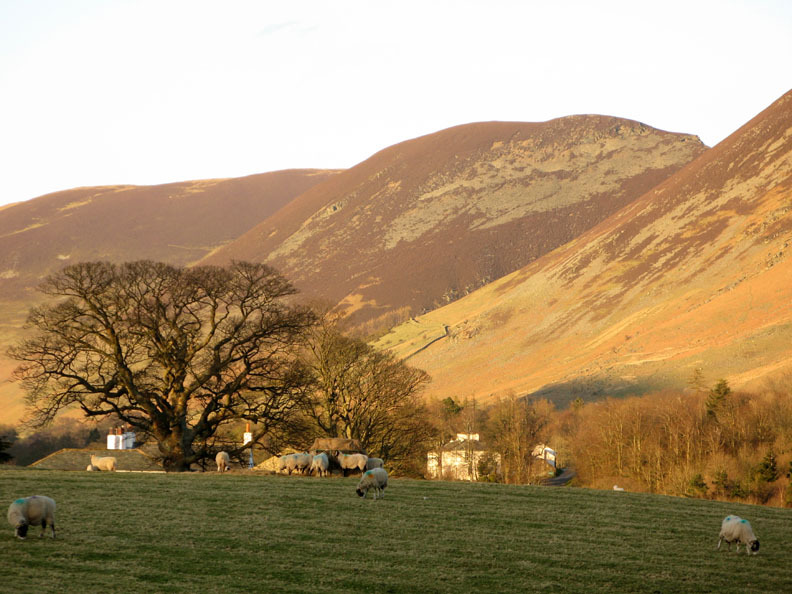 Looking back through the gap towards the sunny Loadpot Hill and Arthur's Pike on the other side of Ullswater. Closer at hand, the disused Embleton Quarry across the other side of the A66. 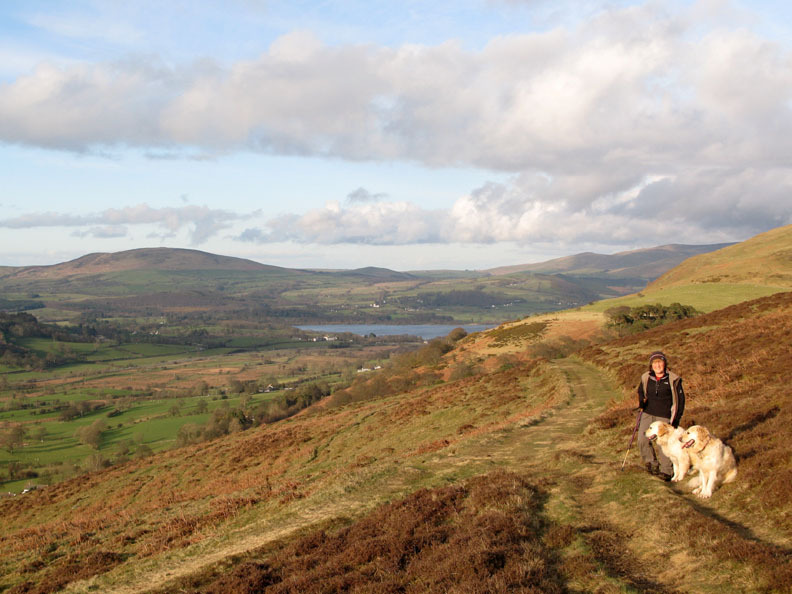 Ahead of us is the northern end of Bassenthwaite Lake with Binsey in the distance. After the walk we made our way back to Loweswater. With the clocks going forward recently, the sunset was not due till eight o'clock tonight. The heather covered fell side of Dodd catches the sun across Godferhead's fields. 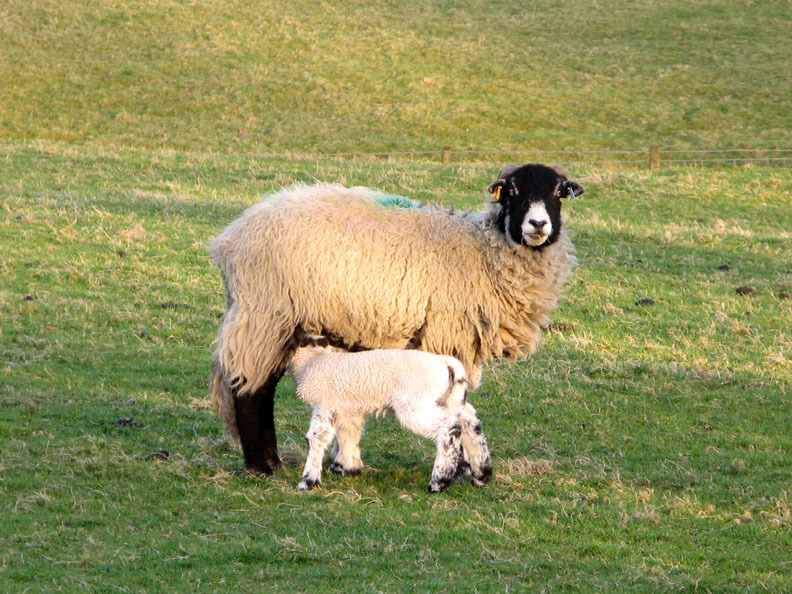 Mellbreak, and William's sheep are lambing this week.
" I'm watching you " but them I'm watching ewe too ! 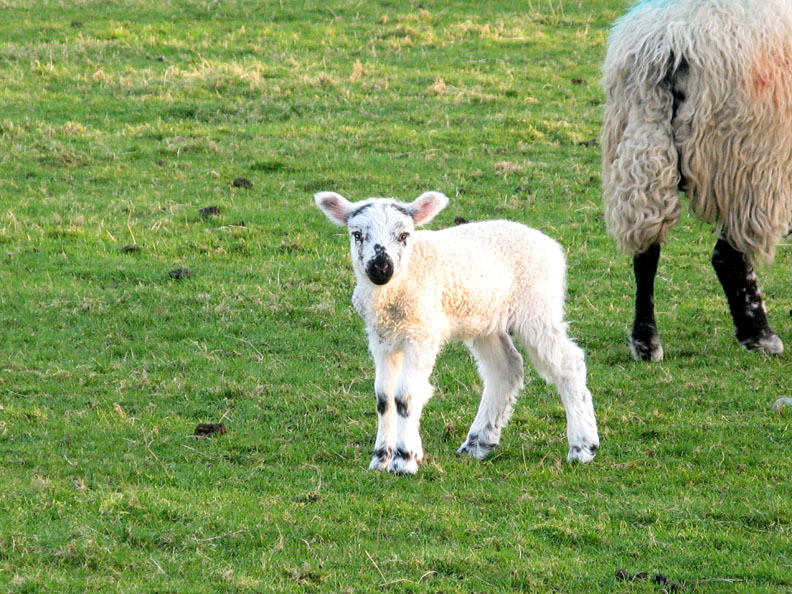 A young lamb, just a few days old. 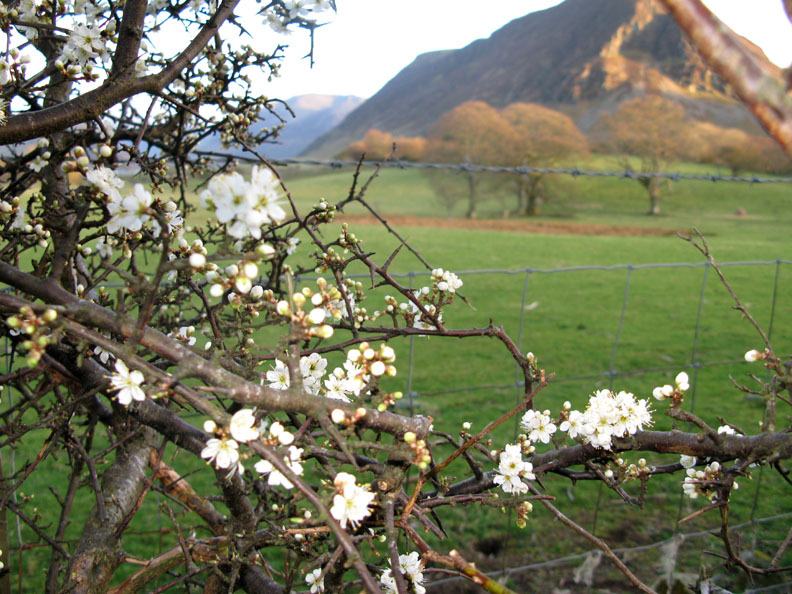 The Hawthorn blossom is about the same age too. Technical note: Pictures taken with my Cannon G7 or Ann's Ixus Digital cameras. This site best viewed with . . . a good measure of spring sunshine.